We are very pleased to announce the second installation of TABLE, a community eating house in collaboration with StreetSmart and Somerset House Trust on Tuesday 19th December . 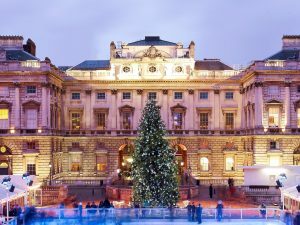 TABLE will serve a traditional Christmas dinner within the welcoming surroundings of Somerset House. The two lunches taking place on Tuesday the 19th of December will connect with the homeless and vulnerably housed, plus the unsung heroes who work with these clients as part of charities, community groups and NGOs. With community and collaboration at the heart, the project will be supported by a range of resident based at Somerset House. If you would like to get involved in the project please contact us here.